The president is expected to sign the bill, though uncertainty remains as he says a border wall will be built regardless of what Congress does. WASHINGTON — Lawmakers slogged toward completion of a massive spending bill and border security compromise Wednesday, preparing to pass it and send it to President Trump in time to prevent a government shutdown Friday at midnight. The mood in the Capitol was less of enthusiasm than relief as negotiators finalized legislation that would end, for now, political brinkmanship over Trump’s demands for money for a southern border wall. Those demands produced the nation’s longest partial government shutdown before it ended late last month after 35 days. The days of negotiations that followed produced a deal offering Trump less than a quarter of the $5.7 billion he wanted for barriers along the U.S.-Mexico border. Nevertheless, Trump is expected to sign the bill – although the president has changed his mind at the last minute before, creating a level of uncertainty. “We will get the job done. The wall is very, very on its way. It’s happening as we speak,” Trump said at an event with law enforcement officials. Despite Trump’s claims, the government has not completed any new sections of wall under his administration. 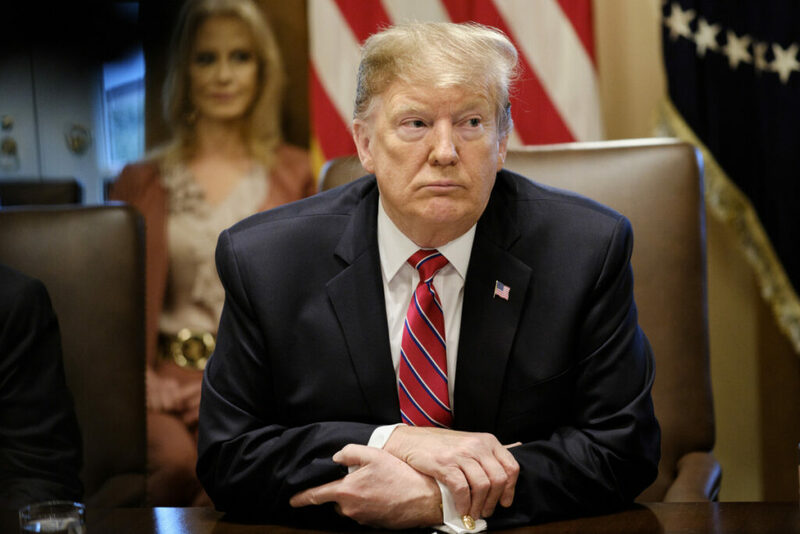 Earlier, addressing reporters at the White House, Trump repeated his suggestion that he will take some type of executive action to get additional money for the wall, saying, “We have options that most people don’t understand.” Republicans widely expect the president to try to move money from existing accounts, including one or more within the Pentagon budget, to add to the border barrier money appropriated by Congress, although Democrats say they will challenge such efforts. A White House official told The Washington Post on Wednesday morning that President Trump sees signing the budget compromise legislation, if passed by Congress, as the way to avoid another shutdown. Administration officials say he would find a way to fund his border wall using funds allocated to other areas. Lawmakers grappled with a series of last-minute disputes Wednesday as they sought to finalize the deal, including an ultimately unsuccessful push by Democrats to include back pay for thousands of federal contractors who were caught up in the last shutdown, and – unlike the 800,000 affected federal workers – have not been able to recoup their lost wages. There was also a dispute over whether to include an extension of the Violence Against Women Act, which expires Friday. Ultimately, negotiators omitted an extension, but Democrats who are working on a stronger stand-alone bill argued there will now be a greater impetus to get it done and said the expiration will have little impact because grants under the law will continue. The overall compromise, struck by a bipartisan group of lawmakers on Congress’s spending committees, includes $1.375 billion for 55 miles of new fences along the border in Texas, compared with $5.7 billion Trump had sought for 234 miles of steel walls. It contains language Democratic negotiators say should limit detention capacity by the U.S. Immigration and Customs Enforcement agency, although Republicans insist ICE will be able to maintain and even increase existing detention levels, and some liberals said Wednesday they oppose the legislation for that reason. Combined spending on ICE and the Customs and Border Protection agency is around $23 billion, a figure Trump has begun touting to praise the legislation’s spending on border security. The legislation wraps up Homeland Security spending with six other uncompleted appropriations bills for 2019, funding nine Cabinet departments and dozens of other agencies for a total price tag of around $324 billion. The other agencies covered include Commerce, Agriculture, Housing, State and the IRS, all of which would be funded through Sept. 30, the end of the fiscal year, presuming Trump signs the legislation. At that point, another fight over government funding – and, perhaps, the wall – will await. Few lawmakers, even those who helped write it, had effusive praise for the package Wednesday. Instead, supporters described it as the best deal that could be achieved under the circumstances, and better than the alternatives: another government shutdown or a “continuing resolution” that would extend existing funding levels. House Democrats, in particular, argued against a continuing resolution because that approach would perpetuate spending agreements struck when Republicans controlled the House. Some liberals said they would oppose the legislation, arguing there should be no money at all for new border barriers, and a stronger stand against the Trump administration’s aggressive immigrant detentions. It was unclear Wednesday how much Defense Department funding the White House wants to reallocate. The Pentagon’s 2019 budget includes $807.5 million for all of the U.S. military’s counterdrug efforts. The defense official predicted there will be some friction if money used for programs like the drug trafficking initiative are reallocated for other purposes. “We’re going to respect Article One of the Constitution here and do our job, which is to make sure that we appropriate funding to these agencies, and if they don’t, they can expect to be up here quite a bit,” he said.